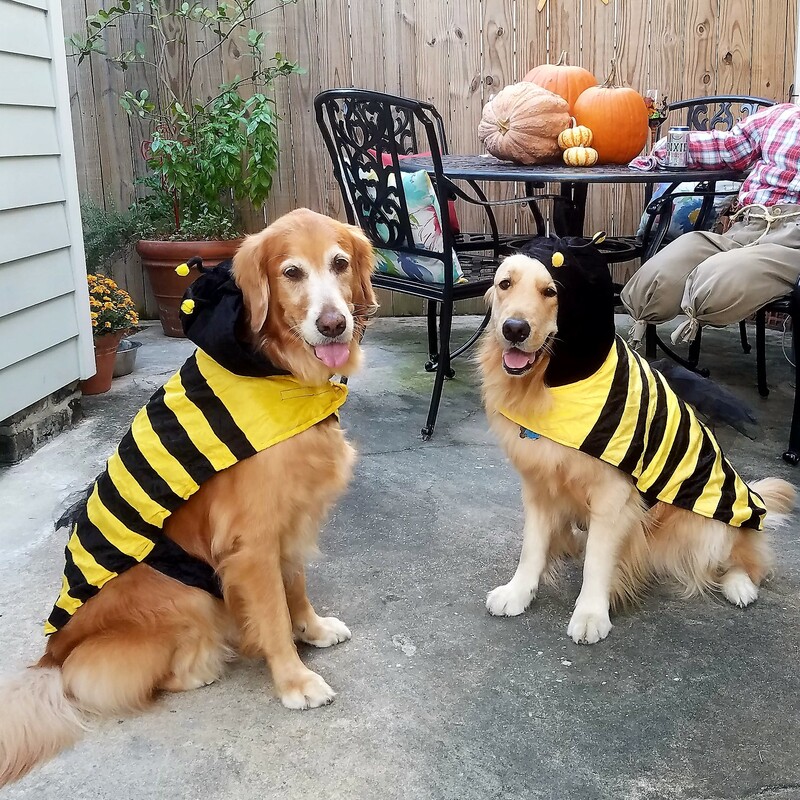 On this the final day of my October Photo Challenge, Tallulah Bee and I wish you a very Happy HALLOWEEN! We hope it’s been absolutely BEE–utiful. And I thank you so very much for joining me through this month of photo challenges. I buzzed with excitement from Day 1 to Day 31, and I hope you did too. 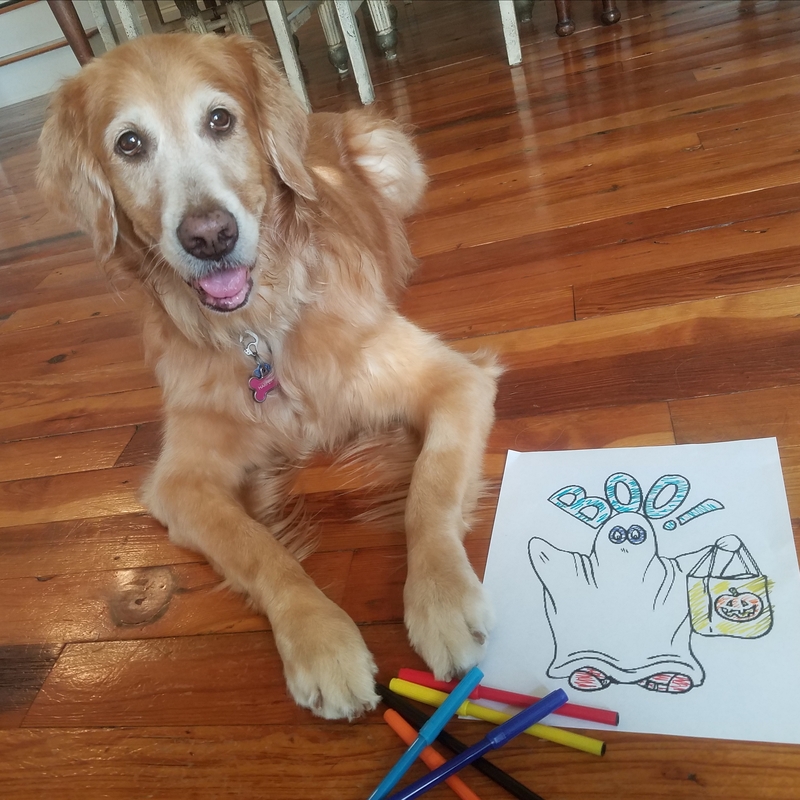 It was so much fun sharing a few of my tricks and hopefully a treat or two with you. Cheers! 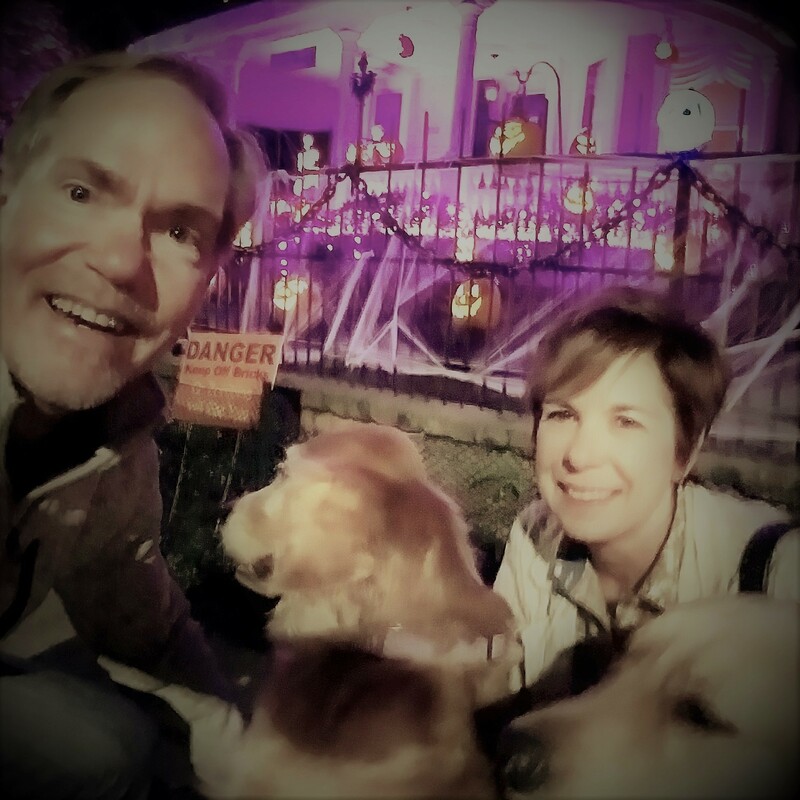 Why oh why did some human include HALLOWEEN THROWBACK in the October Photo Challenge? This one goes way back to 2013 when I met our little trick-or-treaters dressed as a hula girl. Despite my complete humiliation–and my inability to fill out that top–I somehow managed to strike a dignified pose. Tomorrow I’ll be attending a Halloween party at Children’s Hospital New Orleans . 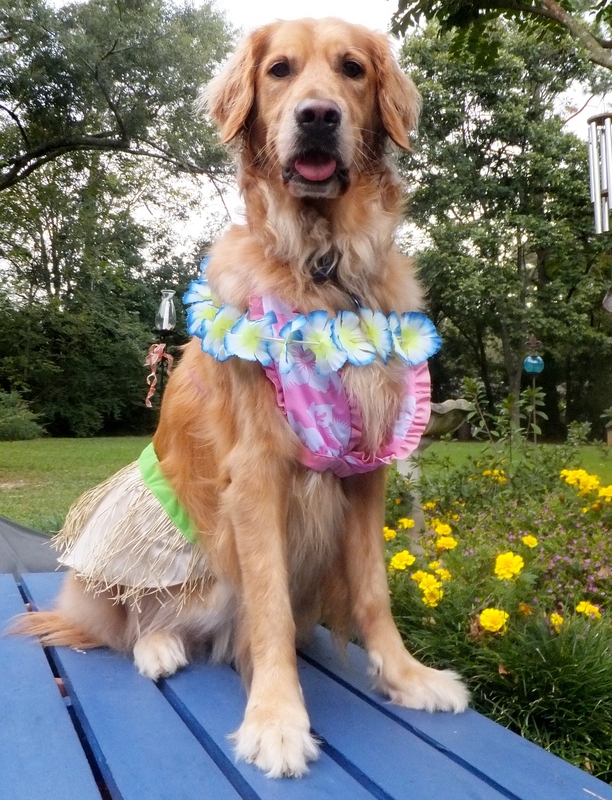 . . and Mommy says that I’ll be reprising my role as a hula girl. Only those sweet children at the hospital could get me back into this costume! 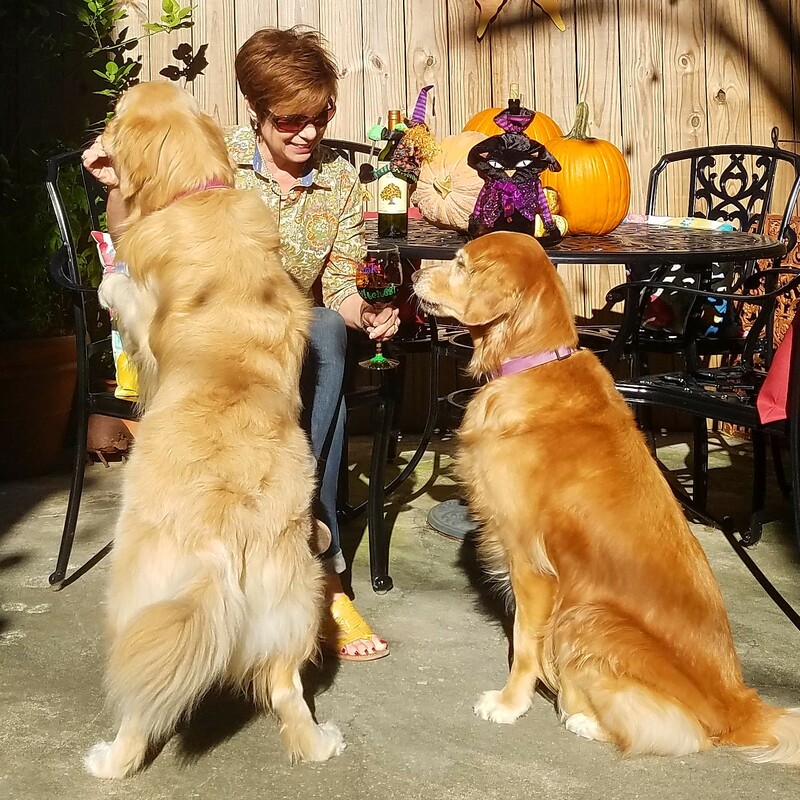 Tallulah and I have joined our human mommy in the courtyard for a DRINK and some treats. Tallulah, who lacks taste and sophistication due to her youth, is going for the treat. I, on the other hand, am older and wiser so I go for the wine . . . even though I never actually get to have it. 😦 Mommy says wine can fix a Monday, so I hope it’s happy hour wherever you may be. Cheers! October Photo Challenge Day 12: DECORATIONS! 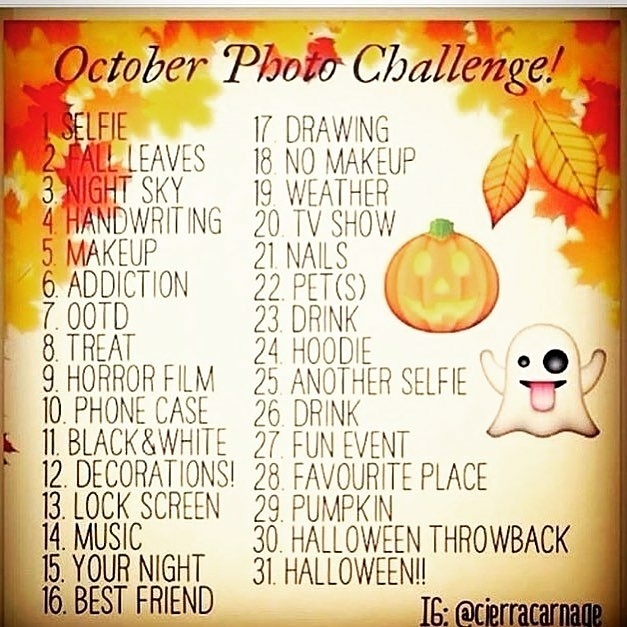 On Day 12 of the October Photo Challenge, it’s time for some Halloween DECORATIONS! Welcome to Ghost Manor, by far the most spooktacular house in my neighborhood. 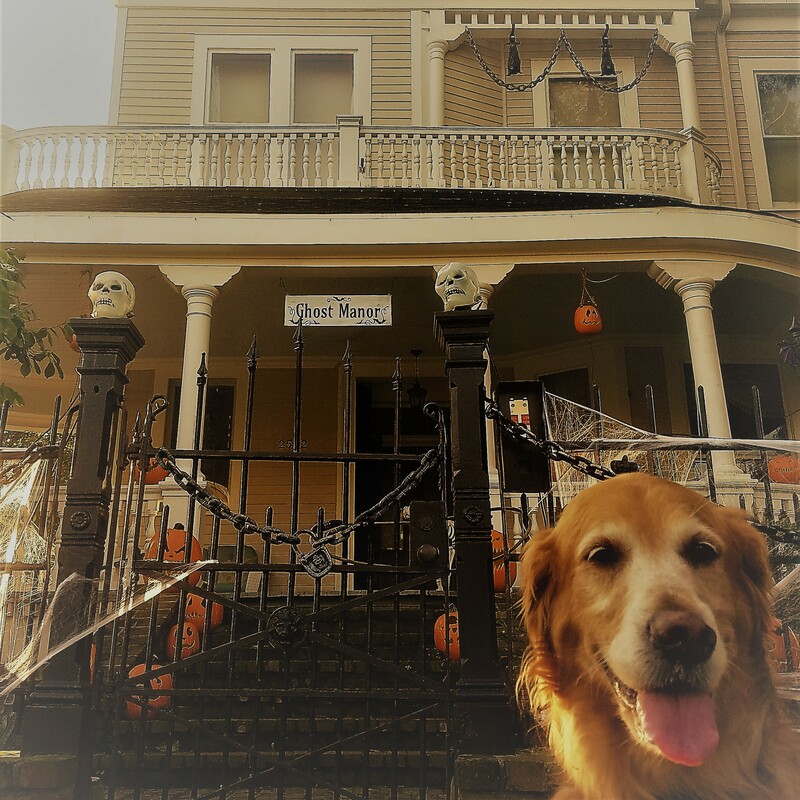 I did my photo shoot in the daytime because, quite frankly friends, Ghost Manor at night is just way too scary for this Golden girl. Ghosts fly from window to window. I can only imagine that they’re trying to escape . . . and I don’t want to be standing on the sidewalk if they get out. When the ghosts disappear to wherever they go, the skeletons start waltzing to and fro. And then dripping blood blocks the view. Time to turn your attention to the fog that fills the graveyard below . . . and hope no one pops out of the ground. If you’re feeling really brave, click here for a tiny nighttime glimpse. Not scared yet? Really? 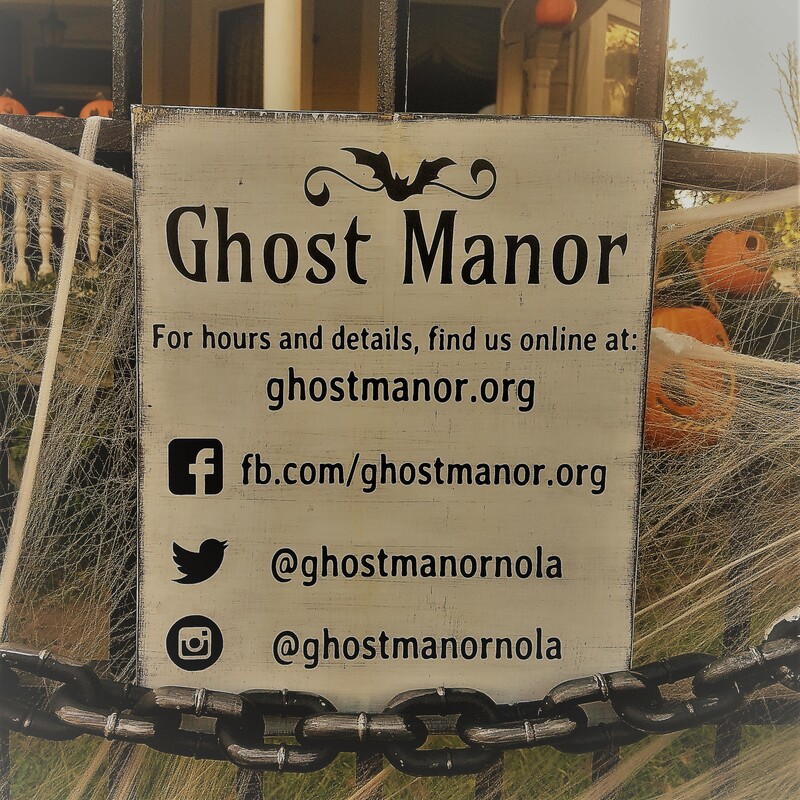 Check out Ghost Manor on social media . . . and don’t say I didn’t warn you. What’s better than going to see a HORROR FILM? Going to see a horror film at a vintage single-screen movie theatre with an actual organ. Later this month my neighborhood movie house the Prytania Theatre, which is 103 years old, is showing two cult classics . . . at midnight, no less: the original 1978 Halloween, the story of Michael Myers who murders his sister on Halloween night in 1963 and then 15 years later escapes from a mental hospital and returns to his hometown to kill again (eeks!) and The Rocky Horror Picture Show. 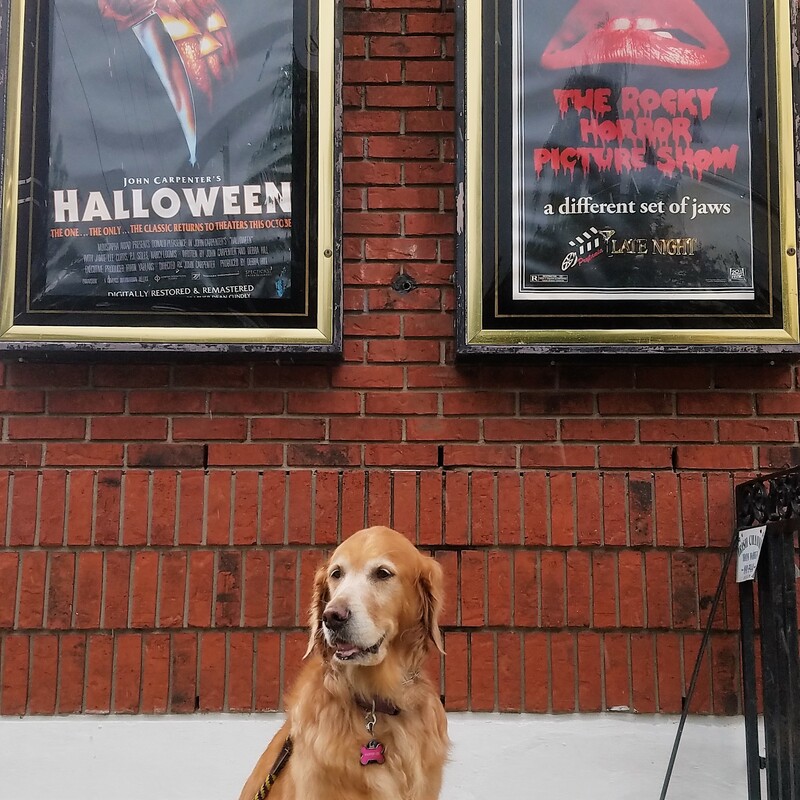 Screenings of The Rocky Horror Picture Show will include a live shadow cast and the option to buy a prop kit with your ticket, just incase you’ve misplaced all your props from when you used to see Brad and Janet and Dr. Frank-N-Furter and Rocky every weekend 40-or-so years ago. From what I understand, dogs aren’t allowed at the Prytania. That’s fine with me. Midnight is waaaaay past my bedtime. Do you have a favorite horror film or a favorite place to go the movies?